Making money online is not a trend anymore. Instead, it is a standard way to become financially independent. You can start earning online without investing anything at all, or at least, with minimum entry level. 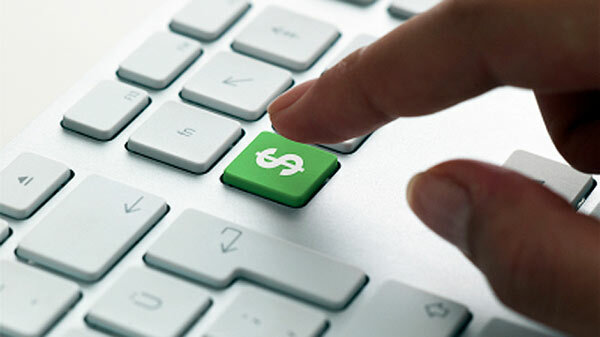 Your first dollar is just a few clicks away. You may not even have to finish this article to start making money. However, if you read until the end, you will find out how to make more money than what your 9 to 5 desk job boss pays you. So, let’s strap up and get ready to earn some cash online. With the number of online entrepreneurs growing like never before, everyone is looking for a right hand. And just like, business people need assistance in real life, these entrepreneurs need help online. When you are someone’s assistant, they usually are open to teaching you the secrets of the trade. Because they need to be just as effective as they are, they will reveal to you how things really work and expect you to get the results. That means that by the end of your virtual contract, you will have gained more knowledge from the experts than what you would have read online. It is advised that you have an area of expertise and that you assist someone in that area. It is hard for newcomers to get clients. Working as a virtual assistant helps you build that portfolio required to land your first official client. As a start, you are being mentored by a respectable name in the industry. As you help them out, they will introduce you to more people, and those people will introduce you to others. Soon, you will have a large network of business friends. When you finish a project, you can quickly jump on another one since they trust your work. And once you are ready to be your own boss, you will have a list of possible clients already at your hands. There are many other reasons why virtual assistance is a great start for anyone. However, since you are interested in how much money you can make, being a VA will provide a lot of financial freedom. As you negotiate with your employer the contract, you can decide on pay-per-hour, pay-per-task, pay-per-month, pay-per-project… you get the idea. There is no fixed rule, and you should be comfortable negotiating the terms with your employer. After all, you are looking for a win-win situation where he will get tasks of off his hand, hence get the project done faster, and you’ll get experience and payment. Remember, all of this happens in front of your laptop, and you don’t have to spend any money to get started. Everyone can start earning money online only by creating a new website and begin publishing content regularly. The process of starting a new blog is relatively easy, and content writing is just as easy as well. The beauty of becoming a blogger is that you are in complete control of what you share, promote, and sell. There are no obligations that apply to you, except those of what your audience expects. Of course, you need to make sure whatever you write applies to your readership. After all, they are customers. There are many ways how you can monetize your blog. I’ll mention a couple of them below, but keep in mind that there is more to it. That’s very obvious. The advertisement is how you can start earning a passive income thanks to your online side gig. You can either join an ad program, such as AdSense, Chitika, Medium, and other alternatives to Adsense. In addition to that, you can sell space directly to other companies. You can create a banner or a widget on your blog specifically for ads, and sell it to a business willing to pay the price. You can easily join affiliate programs and start promoting products that your audience is likely to buy. You only need to insert an affiliate link on your content to start earning commissions. The process is simple, especially if you have been writing content for some time. Commissions are both negotiated or agreed upon before joining an affiliate program. Some small businesses can give you up to 30% while Amazon Associates is at 10% except for magazines (25%). Here’s a beginners’ guide to affiliate marketing to get more familiar with this earning method. These earnings methods are two out of tens of other ways to make money online with a blog. You can definitely find out more, and make much more money. Last earning method on my list is selling your products and services online. If you are good at something, you can use the online world to turn it into a profitable, sustainable business. Both physical and online products are welcome, and your services are more often needed. I’ve already talked about virtual assistance above, but that’s just one service you can provide. I’ll mention other down below. But if you don’t have an online skill, you can sell physical products on sites such as eBay and Amazon. More on that below too. Whether you are a good content writer, a graphic designer, a social media manager, or whatever it is that you are good at, someone is willing to hire you for your services online. You can join in UpWork, Fiverr, or even create your own blog and promote your services. You decide what your services are worth, and you choose which clients to work with. Freelancing a great way to get started earning online if you know what you are doing. Websites such as eBay, Etsy, Amazon, and many others, allow you to sell your products online. You don’t need a significant inventory as you can start with one sample product. There are many ways to get your product seen by as many people as possible. You can use Pinterest for promotion, or your own blog. Actually, you can set up a shopping website too if you like. It is not a scam, it is real. You can have a lavishing lifestyle just by working and making money online. These methods mentioned above have a low entry level, and you can start earning money right now. So, enough thinking about whether there is money to earn and start actually earning! Next: How to open iOS Apps and Games on Android Phone or Tablet? Youness Bermime is a professional content writer and marketer. He owns WritersDo, a blog that helps new bloggers learn how to write and promote their content efficiently. He also writes for ActionTakingMogul, a blog that encourages readers to take action and start making money online in many different ways.